MILTON, FL January 4, 2017 A sewage spill occurred on January 3, 2017 at approximately 6:57 a.m. at 5242 Willing St in Milton. The estimated spillage was 1000 gallons and occurred at 5242 Willing St., behind bldg., on North Riverwalk, Milton. 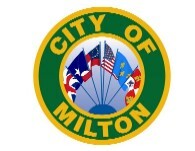 The responsible permittee, City of Milton Water & Sewer Department; 5438 Alabama Street, Milton, Fl. 32570; Phone (850) 983-5434, Fax: (850) 983-5439, has attempted to contact all appropriate entities. Please note below. The discharge has ceased and, by-pass pumping was not used. The spillage was from a manhole, caused by so much torrential down pouring of rain, the treatment plant could not keep up with the excessive flow of water. The untreated domestic spillage was not contained, and did enter a body of water, the Blackwater River. The Water/ Sewer Department disinfected the area of the spill by applying chlorine bleach and Ban-O. Water samples will be collected and the results will be faxed over to Dana Vestal with FL. D.E.P. @ 850-595-8097.